You`re off again with those big words aren`t you??!! Metaphysics!!! first thing on a Monday morning!!! It`s like being back at school!! as science was always first lesson!! I should have stayed in bed!! I`ve just woke up and already you`re trying to fry this tiny tin can of mine!!! So what do I say that you haven`t already had on here? Thankfully I have only had one bad one and I`ve already talked about that on another page. One morning I went to see my son Geoffrey and his wife as they had just moved into their new house. I met Geoffrey in the garden and immediately felt a strange but excited feeling. When I went into the house Jenna his wife was there and I just blurted out “you`re pregnant and it`s a boy”, then I asked her for some paper and a pen!! Needless to say she was completely in shock as she had not done a test and hadn`t even bought one or even suspected she was pregnant. So a test was bought and 3 minutes later she screamed OMG!! by then I had written the baby`s names down on a piece of paper (Jack Andrew Geoffrey and his date of birth and the time! ) I locked it in my jewellery box and told her I don`t want to know what names she chooses and I hadn`t told her what I`d written, I just said I`d made a guess at the date! and that it was just a silly little bet! Anyway at the 20 week scan it showed a little boy. The day he was born was exactly what I`d written and they proudly told us when he was born that they`d named him what I`d said, it was then that I showed her that piece of paper and bless her she cried with shock but was absolutely thrilled that I was right, even down to the time he was born. He was in fact supposed to be born according to the scan 8 days previously! Needless to say all my girls have taken notice of mum`s queer little spooks as they call them! I wish I`d made a bet though I would have won it! I forgot to mention that Tony can give an example of my ESP when I told him what he had on the wall and described it and the picture, although I couldn`t see the details of the picture but I described the texture and the fountain pen he wrote with that was a gift to him! I`ll let you tell the rest T`!! Dearest Tony auitea thorough explaination. I still believe in the relational love of Father God as creator and all the exciting experiences are possible be ause He gave us these capacities in the girst place, plus the ability to love perceive, explore and have dear children and be families. By ourselves we are curious little children and are wonderfully expressive about our personal experiences. But this little girl inside of me loves knowing when He personally calls my name I can go home to Him and my favorite brother Jesus takes my hand and guides me home a d ooens the doir and I can cry Abba or Father and run to Him with open arms and be held in His waiting loving arms. Some love to stay out all night and run and be with friends and watch the stars and wonder about it all. :) He truly loves and knows us all. It is truly creative with lots of explorers and friends to share with on here at Cosmo. I am one little kid among many in the play ground but you are quite a playful one with lots of friends with exciting things to share with ine another even if they live across the pond from us ! Lol. Well you certainly have turned the word Metaphysics into a household word for me Tony. I honestly never heard the word before i started reading your blog. I like the concept of energy being in everything and the idea that science can’t prove it. At times some scientists do come across as being somewhat ‘superior’ to me. They dismiss faith, love and a lot of relevant aspects of humanity. Yet a lot of what they preach takes a great deal of faith to embrace. You have to love science to believe everything science says, yet science can’t explain love or faith. I obviously believe in most science(gravity is hard to argue) but certainly not evolution. My belief is that an all poweful God created the world and all living things. As a man I am the seed of Adam and Eve who were created by God, so in effect I stand as a product of procreation. My energy or life force comes from God and His original design (though weakened by sin) passed down through (Adam and Eve). But without Him and His original design I can’t exist. I believe, without proof, that if Adam and Eve’s life force (for lack of a better word) or vitality existed today anyone in posession of it would be looked upon as being demi-gods. Adam and Eve were created with no limits in the image of an all powerful God. Even in theory that blows me away. They were good, more perfect than we know the meaning of the word perfect. Try to imagine the ‘energy’ they carried around? 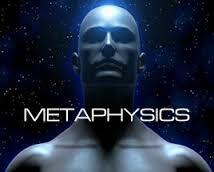 Metaphysics fascinates me though, and I’m glad you brought it to my attention. Teriffic read my friend. Wow Curtis, that was a really interesting point of view and you have sort of answered my little puzzle about where we came from. I`ve never heard anyone describe Adam and Eve in that clear and very refreshing way before, so well done for that sweety. The scientists say we are from the ape family? to me that `sort` of makes sense but if thats the case how come we are so different and more advanced than the ape.? and why are there still apes? why haven`t they advanced like us? I`m full of infantile questions Curtis but they are the ones that popped up reading your comment sweety. I`m one heck of a crazy old bird!! puddled rather than puzzled more like lol!!. What you have said there about Adam and Eve makes far better sense to me as completely seperate beings. After all we look nothing like the ape family do we? I feel strongly that God made each species seperately for a good reason and that is we each have our own specific jobs to do in the world. He put us at the top of the food chain so that we could progress and grow as he needs us to. Each and every living creature and plant of any kind are also just as important to that development and without just one of any of them the world would change irrevocably and it would affect everything in it. So what you say makes more sense to me about our evolution. My son once asked me when he was little ” if God made us! who made God? ” now thats a great question isn`t it, will we ever have the answer to it? I doubt it!! I`ve really enjoyed reading your point of view sweety, it got my old buzz box whirring again this morning, well done.